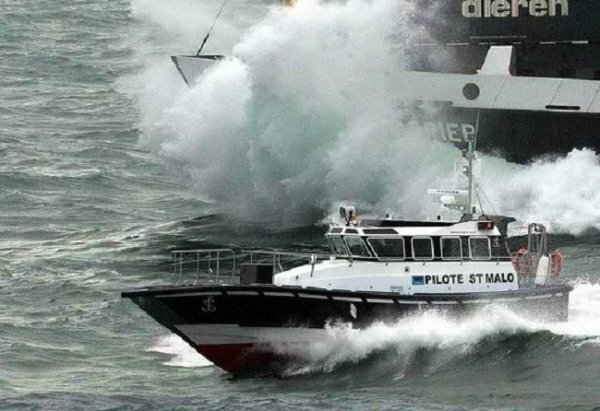 One of the Pilot 42's strengths is her exceptional seakeeping abilities. 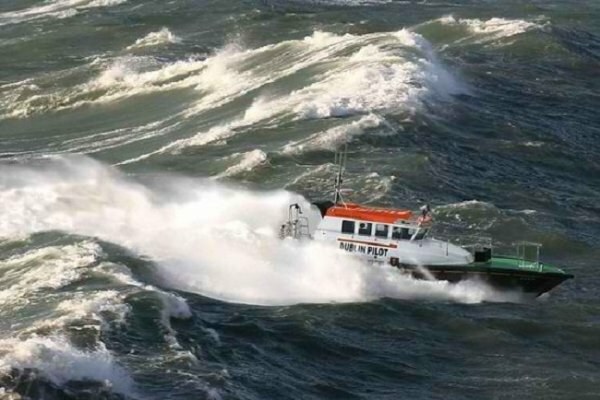 Punching into steep head seas her behavior is excellent. 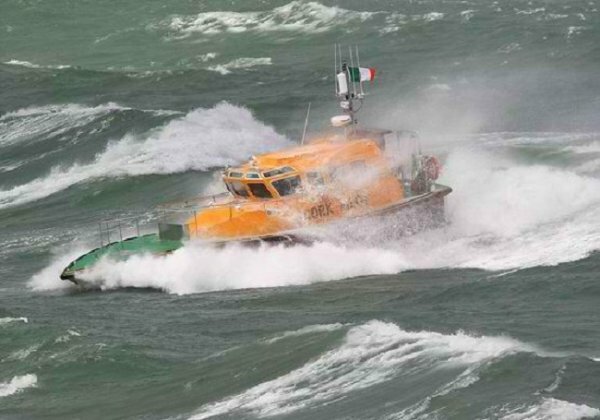 Her deep V hull, weight and strength allowed her to punch through the waves almost silently with no bangs or slams and even after becoming airborne her landings are very soft as she shoulders the seas aside. 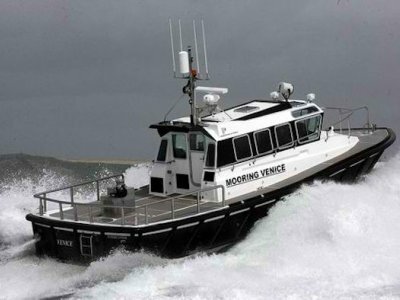 The Interceptor 42 'pilot' is based on the very successful Interceptor 42 hull, on which over 40 vessels have been built since 2001. 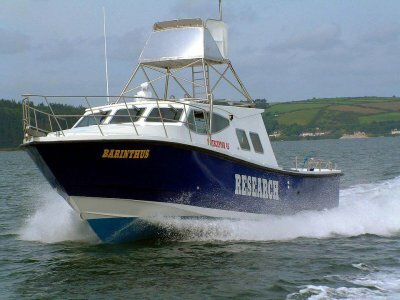 The hull design is well proven and renowned for possessing excellent sea keeping abilities. Her LOA is 43ft / 12.9m, beam 14ft / 4.1m. And draft 4ft 6" / 1.3m. 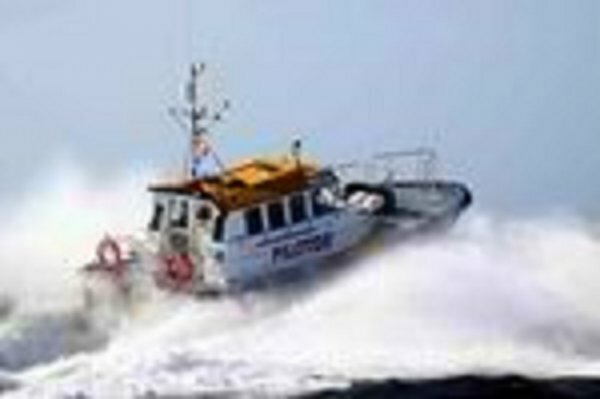 One of the main features of the Interceptor 42 pilot boat is her exceptional strength. To achieve this, substantial 100x100mm transverse frames at closely spaced 500mm centers on a heavyweight 10,000gm2 shell laminate are used. 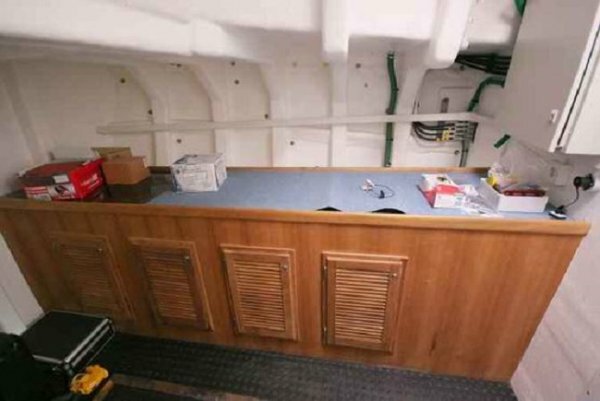 The same substantial beams were used on the deck structure and knees which provides strength at the critical deck to hull join, this results in one of the strongest pilot hulls available. 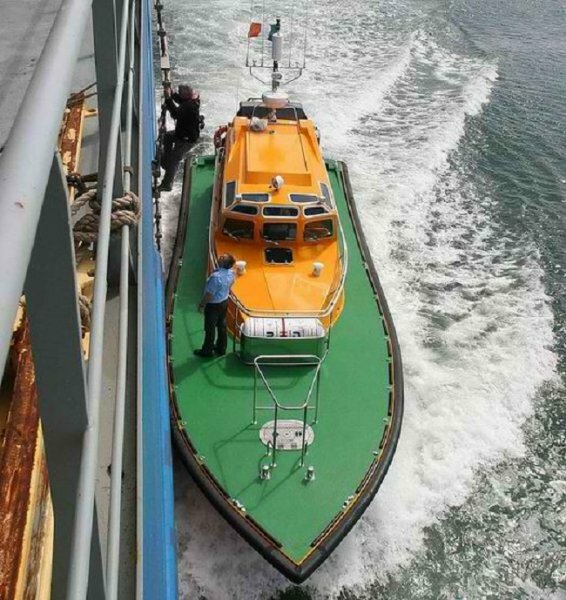 The net result is that the likelihood of damage occurring to the hull as a result of pilot boarding operations is unlikely, meaning less down time, an important consideration for a busy port. 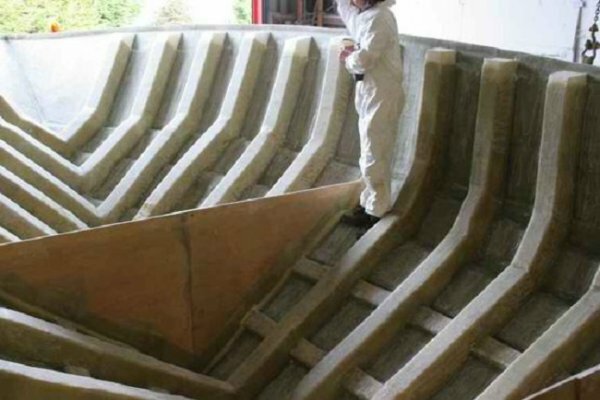 Her main fendering consists of 150 x 150mm heavy D section, with 140mm section used for the lower belting with multiple diagonals fitted along the hulls side. 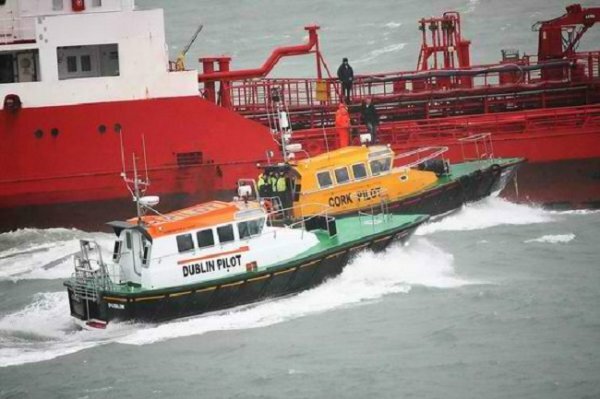 This combination provides good protection to the craft when alongside ships. And is cheaply and easily replaced when damaged. On deck, a wide walkway passes up the side of the cabin, 32mm hand railings and Hadrian safety rail facilitate safe passage. 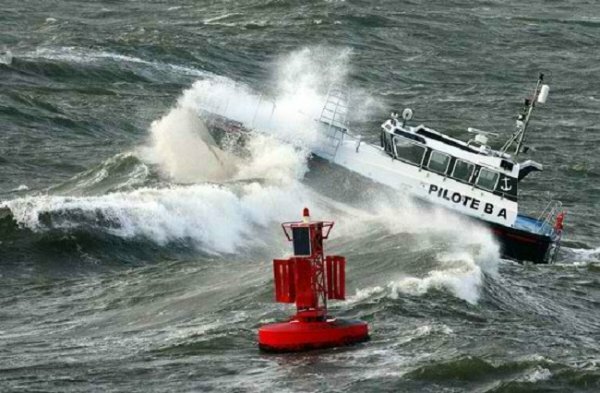 One of the Pilot 42's strengths is her exceptional seakeeping abilities. 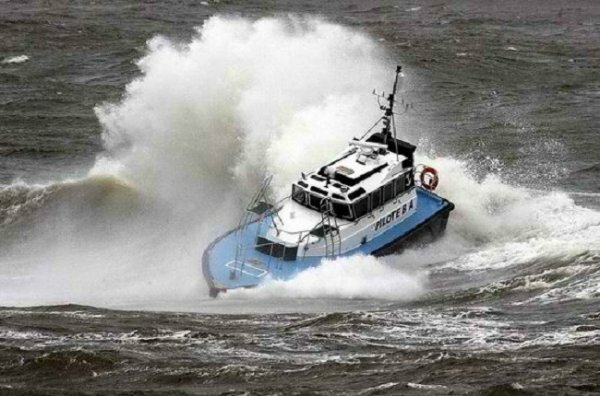 Punching into steep head seas her behavior is excellent. 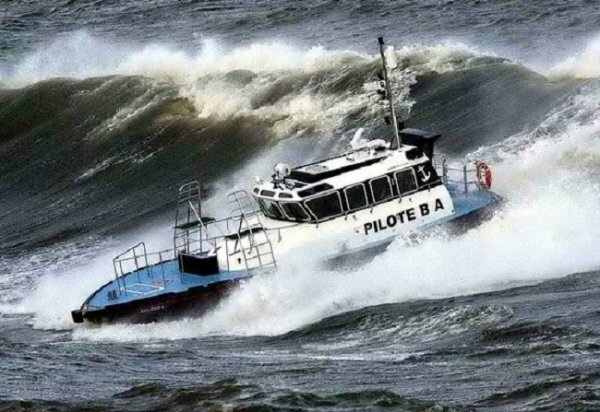 Her deep V hull, weight and strength allowed her to punch through the waves almost silently with no bangs or slams and even after becoming airborne her landings are very soft as she shoulders the seas aside. 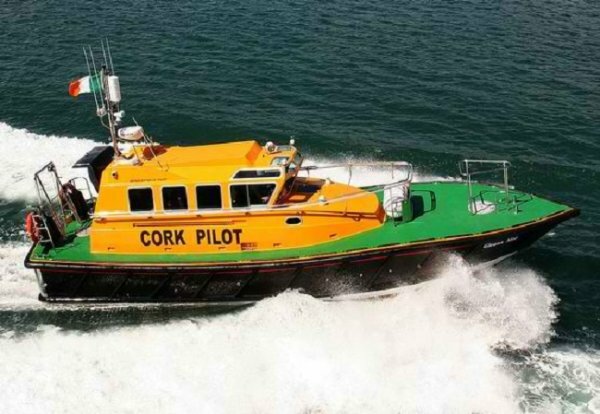 The aft central con position and pilot seating resulted in very low motions for the crew, providing comfort even in very rough conditions. 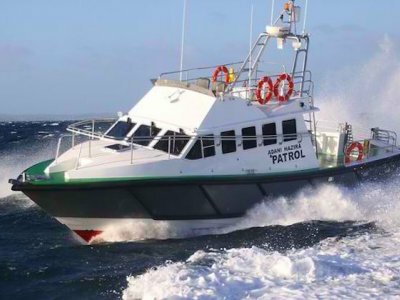 Beam on she is exceptionally stable, a result of her wide beam and high levels of stability, on this course the vessel is excellent with very little rolling and heel, and is able to withstand heavy breaking seas striking her beam on. 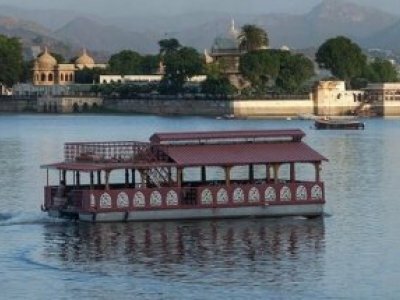 Its worthwhile to note also that the screens remain virtually dry, her twin chine hull design effectively suppressing airborne spray allowing good visibility to be maintained, even in poor conditions. 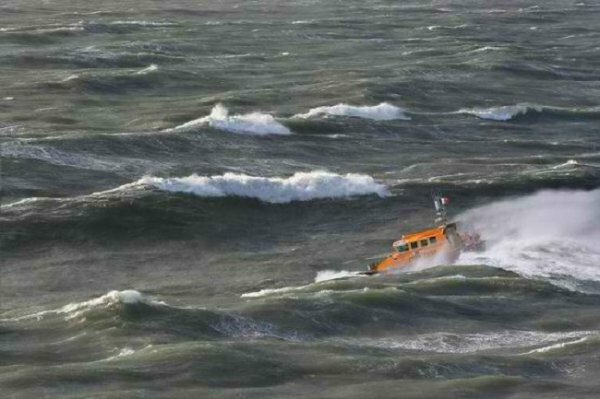 Turning to run before the seas is truly exceptional being reassuringly controllable, allowing hands off steering even in big in following seas, and running straight down wind, she displays exceptional directional stability. 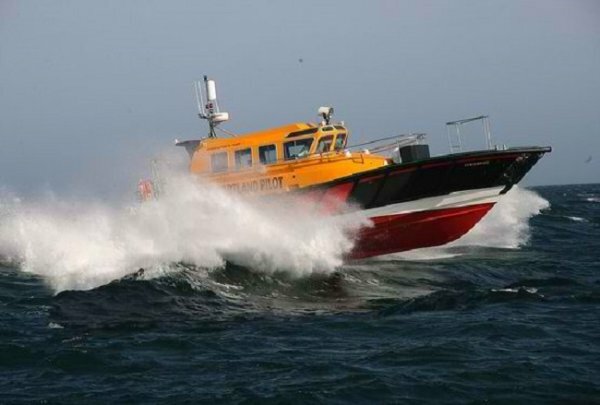 Putting the seas on the transom quarter, always a test for a boat, she is again exceptional in her handling, with little heeling on the face of waves when surfing and zero tendency to yaw. 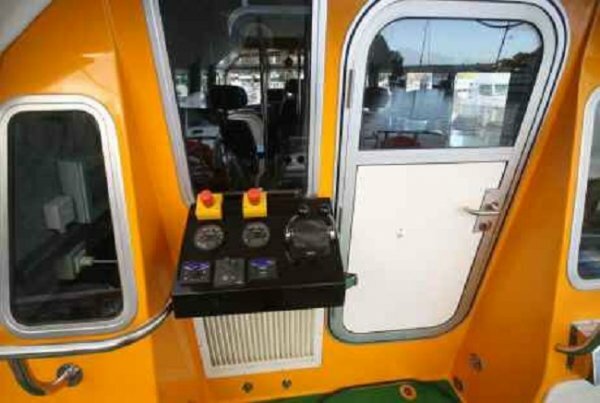 In the cabin, the arrangement features a central helm position. 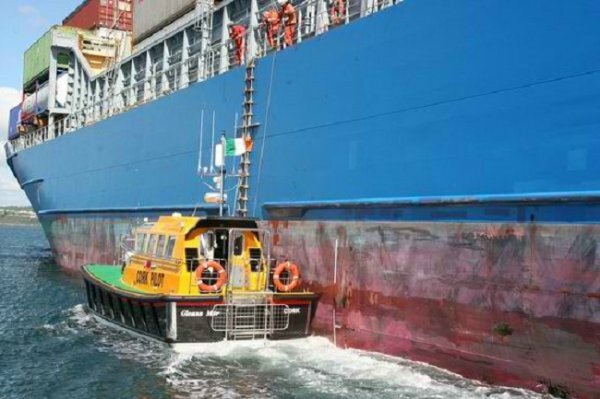 This means boarding can take place to the side best suited to the prevailing conditions, as both port and starboard side benefit from equal visibility. In addition, the helmsman's seating and steering position has been designed with car like ergonomics in mind, allowing fatigue free operation, where all controls fall easily to hand. Visibility is maximized by the use of forward slopping front windows, to easily shed water and reduce glare and reflections. Upper level skylights and roof windows give a clear view overhead. Front screens are demisted by an efficient hot air heater / demister to ensure good visibility at all times. 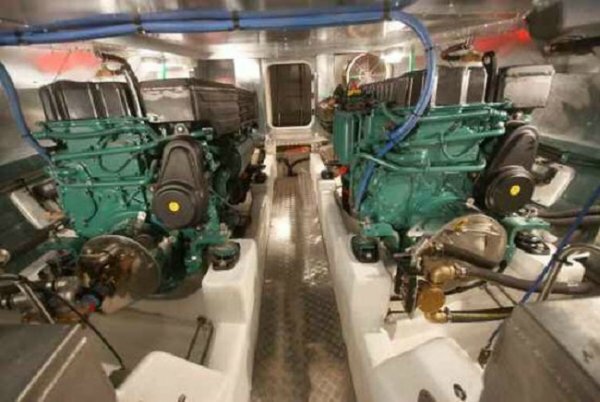 Instrumentation and electronics have been positioned to provide easily viewed navigation and vessel information. 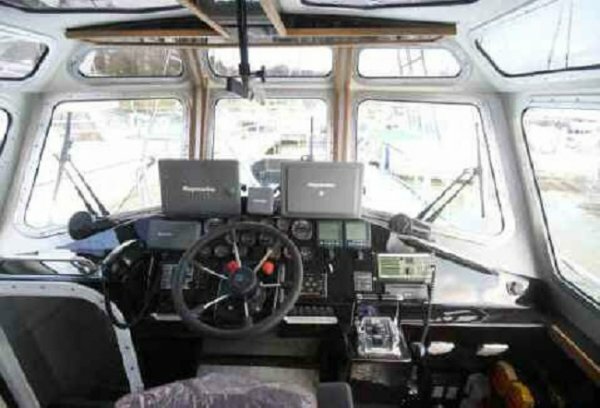 A comprehensive electronics package is fitted consisting of two 12" colour displays screens providing GPS plotter navigation, sounder and radar, in addition, AIS readout is integrated into the main displays and a rudder angle position and log provides further information. The layout inside is quite unique. 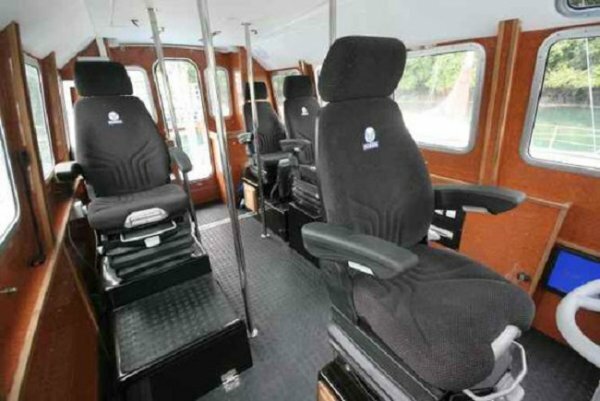 Instead of the usual six pilot seats, (which can be accommodated if required) there are four pilot seats, the aft two have a table in front, and one has a navigation console with a 12" navigation repeater and VHF incorporated.